Do you have a great Warhammer 40k, D&D, Age of Sigmar, X-Wing, Warmachine, Wargaming, or RPG Blog? Do you love the Games Workshop, Star Wars, Privateer Press, your favorite RPG universe and want to expose your hard work to a wide audience of RPG, Tabletop and Wargaming fanatics? 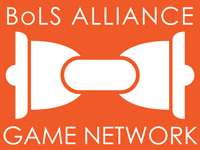 If you answered yes to those questions you may be ready to join the BoLS Alliance Blog Network. 4) Your blog is attractive and well organized, with easy navigation for visitors. 6) You provide an avatar based following or commenting system so readers can identify each other as they visit various blogs (we recommend DISQUS). 7) You do not use profanity or adult language in any of your post’s titles (this can negatively affect all other websites who link to you in blogrolls). 8) You are positive about the hobby and have a great time blogging! The BoLS Alliance blogroll will display the 30 most recent members who have posted, so post reguarly to keep from dropping off the bottom. If you meet all of these requirement, add this BoLS widget (cut and paste the html below) into your site (normally into a widget), and email us with your URL. We will get you right in! Here is the BoLS Widget so you can see what it looks like. It is a responsive widget and will widen or narrow to fit the space you put it into on your site.